Dylan was born on July 7, 1998 in Houston Texas. From the start, Dylan was destined for greatness with his unique interest and curiosity for the arts. At a very early age he displayed an unusual fascination for motion pictures, comic book heroes, music and art, which to date has put a huge mark on his creative direction. By the age of 3, Dylan had shot his first TV commercial, and landed a handful of department store photo shoots, all a result of a local talent agent approaching his mother one sunny Houston Texas day. But it was in February 2006 when Dylan and his little sister Ellery arrived in Hollywood to pursue a career in the arts that kicked off his exciting thespian journey. 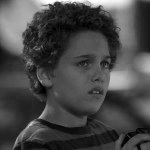 Now 13 years old, Dylan, fully committed, has worked hard, and as a result is blossoming into a talented and credible working actor. He simply loves the craft, and to date has had the pleasure of working with some of Hollywood’s finest actors, directors, producers and crew. Dylan is currently playing the Young Clark Kent in Warner Bros.’ new Superman film “Man of Steel”, his most rewarding role and project to date. With seven features already behind him, he is well on his way to an exciting career. Dylan feels that each experience offers new lessons and insight on life and cherishes the many lifelong relationships he continues to garner along the way. His passion for the arts continues to broaden and grow, in between a very busy schedule of friendships, shooting, school and auditioning, Dylan spends much of his spare time sketching, painting, directing short films and creating anything else that catches his active and creative mind. Dylan also enjoys classic rock & roll music and has recently developed a thirst for the guitar, inspired by his newfound rock hero Jack White…. so who knows what might be next?